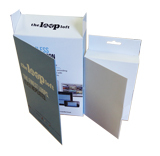 If you are on a lookout for more than just a box sleeve then take a look at the tray and sleeve packaging option available at Box Printing Company. This custom printed tray and sleeve packaging option not only provides you with a professional and cleans packaging solution, but it also helps your product stand out from the crowd. With the exclusive tray and sleeve design we have to offer, your products can easily achieve the high-quality grade look which is needed to stand above your competition. All of this can be done at extremely cost-friendly prices. Our custom printed tray and sleeve packaging solutions are an elegant yet chic way to make your product appear its best. Whether it is a practical design or professional-grade material, we will give your product the much needed edge for marketing purposes. 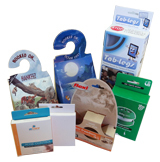 If you have some specific ideas regarding your custom printed tray and sleeve, then the professionals working for Box Printing Company can effortlessly customize your packaging. With the custom tray and sleeve printing option you have the one in all answer needed for all your packaging woes. The custom printed sleeves and tray provide customers with an amazing way to package the small products in the most convenient and stylish way possible. 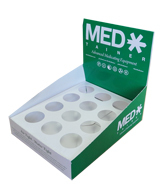 Custom tray and sleeve packaging has been designed for a number of products. We are going to cater to all your brands it in an innovative and convenient style. 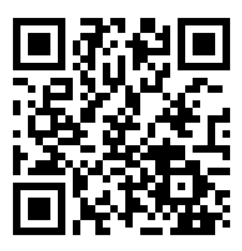 If you need more information regarding our services feel free to contact us!